The United States Senate voted on March 13 to end U.S. support of the Saudi Arabia-led coalition fighting in Yemen’s bloody civil war since 2015. This vote is the second time the Senate has voted to end U.S. support, and the resolution will now move on to the House, where it is expected to pass. The 54-46 vote to withdraw U.S. support comes in the aftermath of renewed skepticism over the country’s role in Yemen’s civil war, which, according to Associated Press, has led to the deaths of at least 50,000 people at the time of publication, the majority of whom were civilians. Yemen’s civil war began in 2015 when Houthis loyal to former Yemeni president Ali Abdullah Saleh took control of the capital, Sana’a, and forced the internationally-recognized government to flee. Backed by U.S. intelligence and logistical support, Saudi Arabia and its allies began an airstrike campaign to restore Abdrabbuh Mansur Hadi, the president-in-exile. 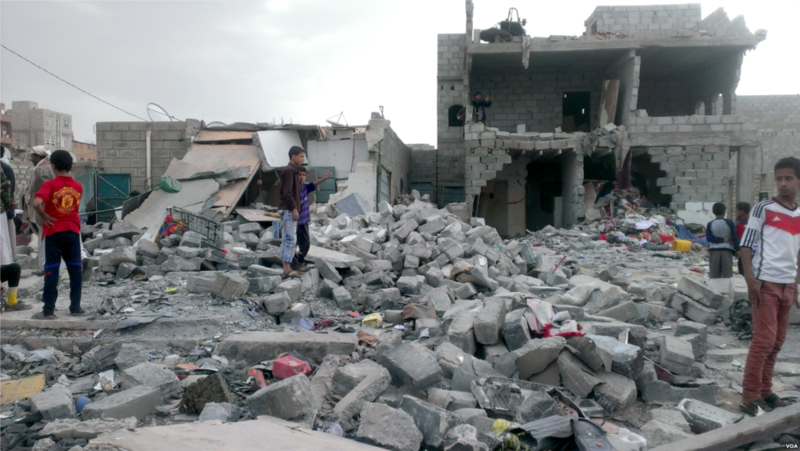 Along with the airstrike campaign, Saudi Arabia imposed a blockade on Yemen, leading to what the UN called “the worst humanitarian crisis in the world,” with millions suffering from cholera and malnutrition caused by ongoing famine. Aid groups have not yet been able to reach refugees or civilians due to the continued fighting, which has led to an estimated 70,000 deaths from malnutrition. The Saudi airstrike campaign has also been accused of indiscriminate bombings. After a funeral hall was bombed in October 2016, the Obama administration stopped selling guided missiles to Saudi Arabia, according to the Guardian. Weapon sales were reinstated by former Secretary of State Rex Tillerson. In 2017, CNN reported that President Trump signed a $110 billion arms deal with Saudi Arabia. As conditions in Yemen worsened, senators voted in December to end U.S. support of the war in a bipartisan vote. The measure was not followed up by former Speaker of the House Paul Ryan. In January, the House passed a similar measure, limiting the President’s authority to use military force, according to Politico. But parliamentary rules prevented the Senate from taking it up, so this current version must be passed again by the House. Once it passes both chambers, the New York Times expects President Trump to veto the resolution. Republican senators have been unsatisfied with the administration’s response following the Khashoggi murder. Despite intelligence reports that Saudi Crown Prince Mohammed bin Salman was responsible for, or at least complicit in, the killing, the administration has taken no action and did not comply with a deadline to report to Congress whether it believes the Prince was responsible, according to Politico. While senators like Marco Rubio (R-FL) have called for sanctions on Saudi Arabia, the President continues to argue that maintaining the relationship with Saudi Arabia to counter Iranian influence and curb terrorism remains more important.